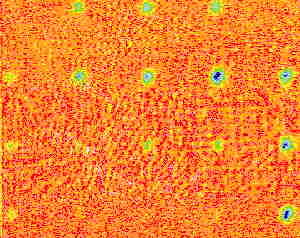 Fig 3: C-scan image with water squirters at 2.25 MHz. Teflon inserts measuring 1/16 in to 3/4 in at 4 in. distances. Fig 4: C-Scan image performed with 400 kHz air-coupled transducers. The smallest resolved Teflon inserts in the bottom row measure 1/16 in. in diameter. 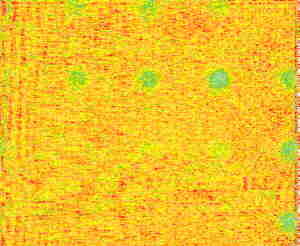 Fig 5: C-Scan image performed with 50 kHz transducers in straight through-transmission. Teflon inserts with diameters less than 1/2 in. cannot be resolved. Fig 6: C-Scan image performed with 50 kHz transducers, in laterally displaced, in through-transmission.Teflon inserts with diameters less than 3/8 in. cannot be resolved. 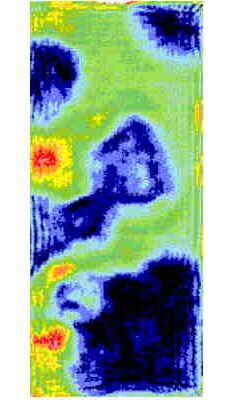 Fig 7a: C-Scan image of a 6 in x 8 in. section of a SiC panel scanned with 400kHz air-coupled transducers. Fig 7b: C-Scan image of a 6 in x 8-in. 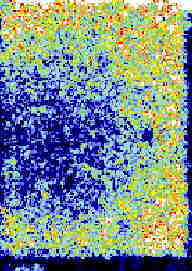 section of a SiC panel scanned with 50kHz air-coupled transducers. Fig 8a: C-Scan image of a 6 in x 12 in. 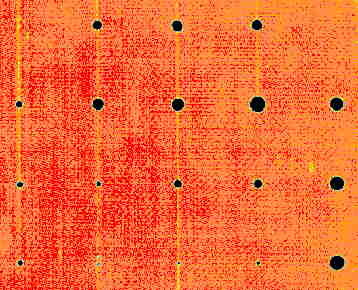 section of a SiC panel scanned with 400kHz air-coupled transducers. 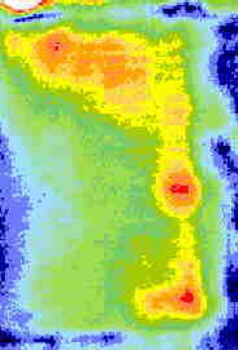 Fig 8b: C-Scan image of a 6 in x 12 in. 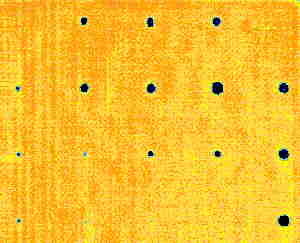 section of a SiC panel scanned with 50kHz air-coupled transducers.